Yesterday my dad asked me, "How old are you this birthday?" He could have counted the years rather easily. You see, the day I was born he had tickets to a World Series Game--the Dodgers were in it, but lost--and as soon as I took my first breaths and he knew mom was okay, he and his dad went to the game and passed out cigars in my honor. The baseball he got there sits proudly on his dresser, 1978 in bold blue print. He could have counted the years, but he didn't. I had to think for a minute, honestly, and I finally replied, "29 and holding." That's right, I have decided this is my last birthday. Next year, don't send me a card or call me to wish me a happy birthday, it won't do any good, I am not acknowledging this day as anything unusual anymore. Last weekend Dan took me away for 2 nights for my birthday. Sunday the Russells threw me a mini-party. Last night my dad took us all out to my new favorite place, Buca de Bepo's, and the entire restaurant sang. Good thing Jules was on my lap, everyone thought it was her birthday instead. Today I got a ton of cards, e-cards, phone calls, text messages of children singing happy birthday :o) , and my favorite, Audrey singing to me on my voice mail. Good one, friend, especially how you laughed the whole time. Priceless. Dan emailed me from school and came home early, my mom took me shopping, Melissa took me to coffee...really, I was not lacking in well wishes. Joanna sent me the first text message I have ever gotten from her just for the occasion! The funny part is that I was surprised everytime. Each time acknowledgement of my day came, I did a double take and then thought, "Oh yeah, it's my birthday." Without realizing it I scheduled a playdate with one of Mckenna's classmates and his mom today. So, I spent 2 hours today with someone I had never met. Fortunately I really liked her. Dan will be 33 in January. His age has always been a source of great joy for me. Somehow I nicknamed him dinosaur--I think that was around his 25th birthday. When he turned 30, once I got past the idea of being married to someone who is no longer in their 20's, I relished the opportunities to gently remind him he was in an entirely different decade than I was. He has done the weddings of some of our former students--that makes me feel old. I occasionally run into people I haven't seen since high school--that means nearly 12 years have passed--that makes me feel really old. 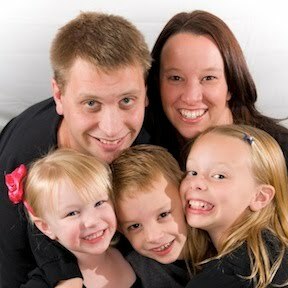 We will celebrate our 8th anniversay, and Mckenna is 6 now--yikes, where did the years go? If you are over, say 40, and reading this, you are either chuckling at my young naivete, or annoyed that I think I am old. But remember back--30 now looms less than a year away. That is daunting. In 365 days I will leave my 20's. I liked my 20's. I got married, had all three kids (!!! ), graduated college (not in that order), owned my own home, met my best friends...really, this has been good. I am not sure I want to leave this age. When I was an 18 year old waitress, I called 30 year old women "Ma'am!" I don't want to be called that! I would look over my shoulder for someone else if I got called that! Nope, the birthdays are banned. As my dad said, "I was 29 for many years. In fact, it took 20 years, and now I am 49 and holding." If it works for my dad, it works for me. So, yep, you can call and email and text next year. Maybe by then I will have accepted that Time stops for No Man. Then again, in the words of Eowyn, "I am no man." So you might want to check in with me, see how many candles you should put on my cake, or what number should be written on my card. I'll let you know, but in the meantime, I will be enjoying my last year of 20-something.